If you are to "judge a man by the company he keeps", then based upon last night's performance on the O2's Indigo stage, New York wunderkind Scott Alan is of the very best indeed. 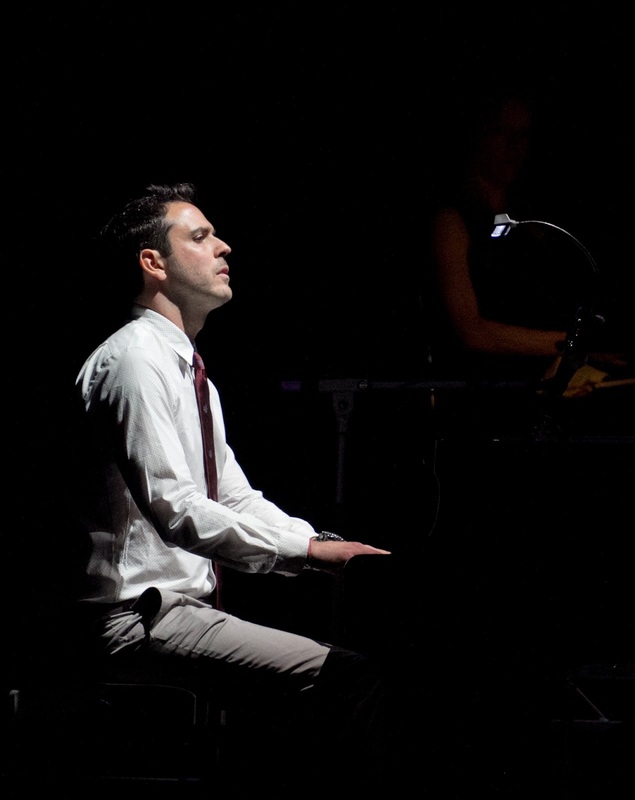 With a supporting cast of musical theatre (virtual) royalty, Alan took a modestly low profile through the night watching from the wings as giants of the transatlantic stage breathed life into his stunning compositions. Early on in the set Cynthia Erivo, surely musical theatre royalty-in-waiting having sped down the Thames to the O2 direct from a matinee performance of her astonishing role in The Colour Purple, sung Anything Worth Holding Onto. Her song gave a frank and honest comment on depression and as Alan was to explain later, his own life story explains his ability to write with such a scorching insight into the illness. Erivo’s performance, her tear-stained cheeks glinting in the spotlights by the end, was one of the most moving performances to be found in London (though Annalene Beechey was to give her a run for her money after the interval). If at times the first half resembled just a tad too much of a ballad-fest, it nonethless yielded some wonderfully contrasting moments. 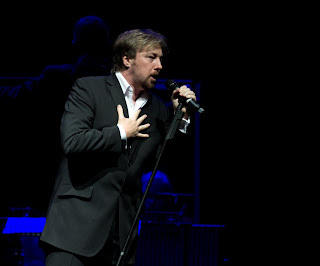 John Owen-Jones, ever the consummate king of performance, gave a wonderful Kiss The Air, all the more remarkable for him only having had 5 days to work on the song from scratch. Owen-Jones had been at the main O2 arena the day before to see his beloved Iron Maiden perform. That gig had obviously stayed with him as there was a gloriously full on, almost metallic feel to the way he virtually (though at all times, of course, melodically) screamed his way through the song’s middle eight! The second half proved a veritable treat with the first ever assembled cast performance of Alan’s musical Home, a tale of Katherine a woman returning to her Texan home to confront her own relationship with her past and with her elderly mother. Cleverly put together, the evening's ensemble of O2 women had each prepared one song from the show and with first class support from Simon Beck’s immaculately rehearsed 15 piece orchestra and Barney Ashworth on piano, witnessing Home's premiere was a privilege. Highlights included a beautiful Never Neverland, Julie Atherton’s wittily filthy His Name and another sublime show-stopper from Cynthia Erivo, the singer giving a hilarious (and disarmingly accurate) portrayal of a rebellious teenager, off her face from smoking weed. 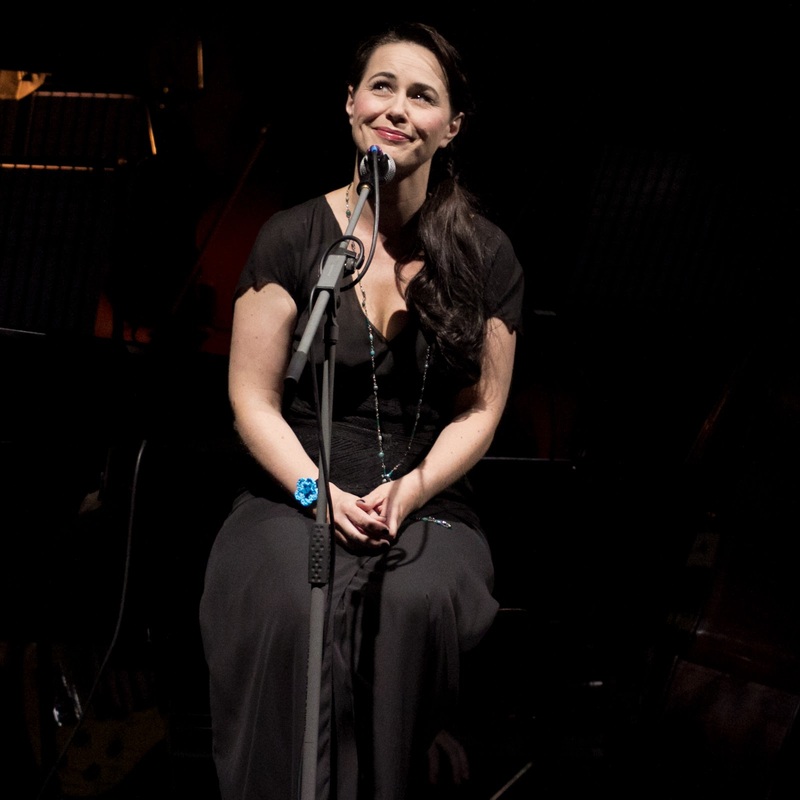 Excellence abounded, particularly in work from Siobhan Dillon and then from Shoshana Bean in her delivery of the show’s title number, but it was with Annalene Beechey’s Goodnight, a song again of profound perception and free of all mawkish sentiment, as Katherine addresses her mother's fast approaching demise, that hearts were broken across the venue. Now a young mother herself, Beechey skilfully and passionately told of an oh-so familiar scenario. Alan took to the piano to close the show. He spoke of his personal demons that had almost led to suicide at 16 and how from that point on he had vowed to celebrate and to achieve in life. Now some 20 years later, Scott Alan is an inspiring proof that life is for living. As he closed the show alone on piano with an intimate solo encore of Look (A Rainbow), tears and smiles were gloriously intermingled. A truly special night.